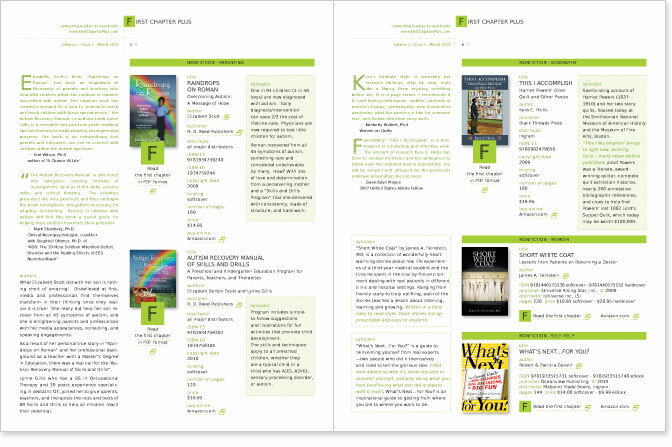 First Chapter Plus publishes a monthly e-catalog that connects readers to new books. It is read by libraries, independent book stores, media, readers, authors, bloggers and reviewers. They needed us to design their logo, their web banner and an e-catalog template layout. 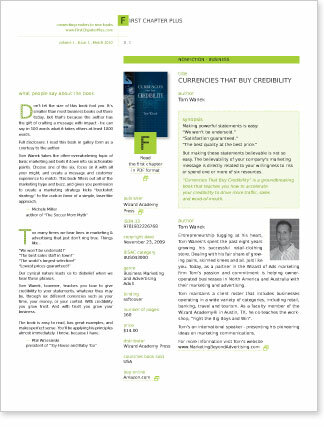 The focus of this project was an e-catalog template layout in InDesign. We designed a catalog with a cover page, a table of contents, interior pages and standardized ad spaces. One of the requirements was to design the e-catalog so the First Chapter Plus staff would be able to use it as a template. In addition, we provided training for the staff in the use of the e-catalog template. 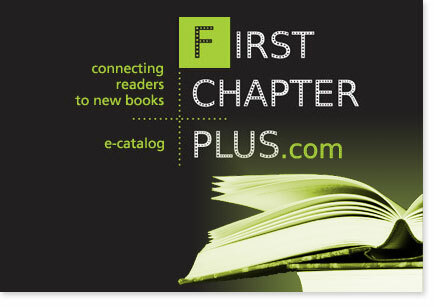 Now the First Chapter Plus staff is independently publishing their monthly e-catalog. A logo design was also part of the project. 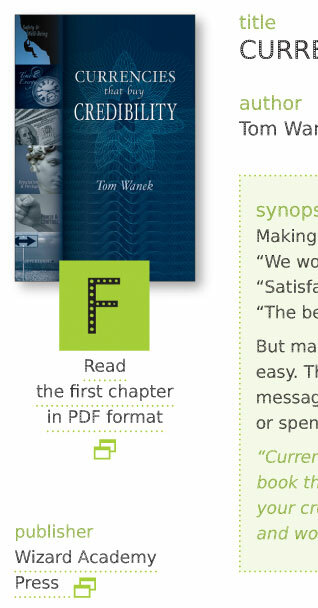 Detail of the First Chapter Plus e-catalog showing one of its interactive features: the book cover and a link below it take the user directly to the first chapter of the book online. 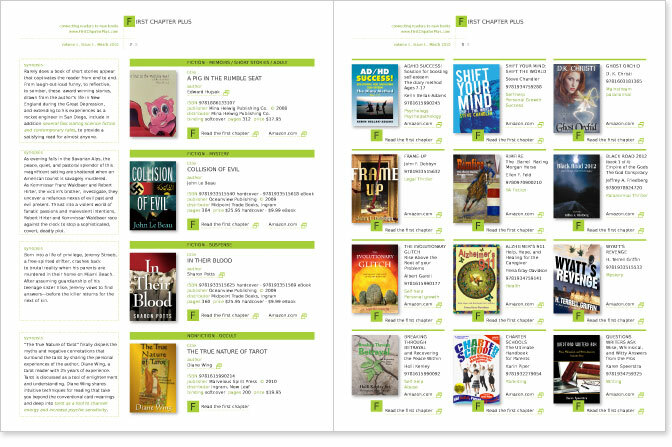 Pages from the First Chapter Plus e-catalog that show the versatile layouts for 1,2 3,4 or 12 books per page.